My friend Kerry came to me with a request from her very fussy 5 year old. He wanted space rocket solar system curtains for his new room and there was just nothing available that he liked. So I got to work on designing something for him, and this is what I came up with. Apparently Conor is delighted with the design and so I have sent it off to be printed! As soon as the curtains are up and ready I’ll post a pic of them in his new room! 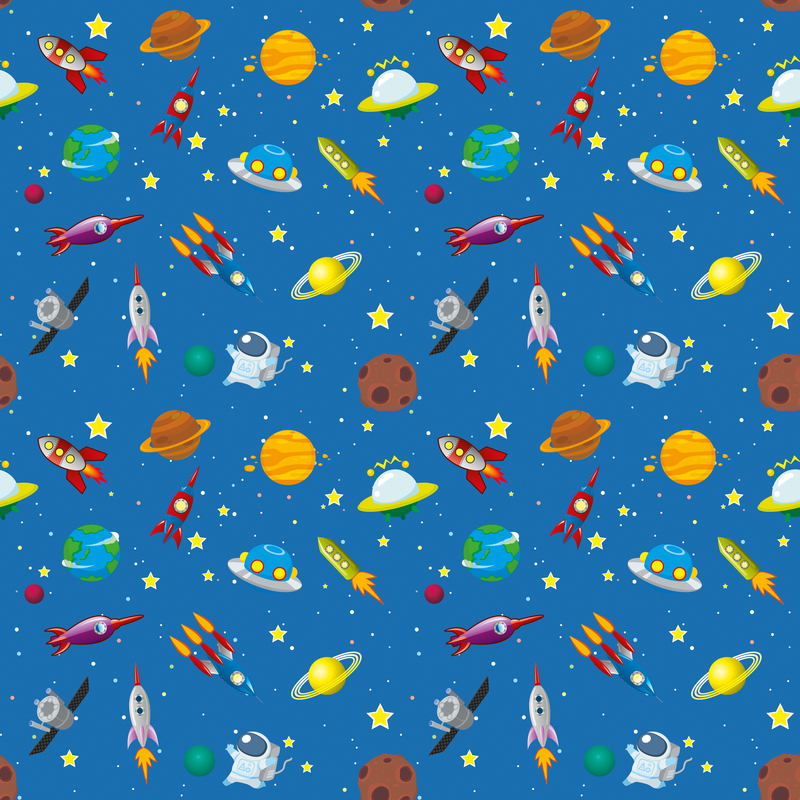 This entry was posted in bespoke design projects, fabric design, sewing and crafts and tagged astronaut, blue, bright, curtains, design, fabric, planets, rocket, satellite, sky, solar, space, space man, stars, system, ufo by seraholland. Bookmark the permalink.